Bed Foot Board Helps Prevent Slipping Down The Bed. 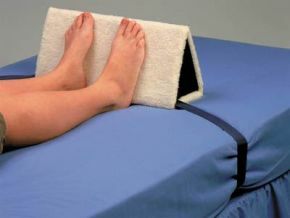 The bed foot board is a simple device to help prevent people from slipping down when seated in bed. Covered in fleece for comfort, this product is easily attached to the mattress of a divan bed using a quick release buckle. Fits single to king sized beds.